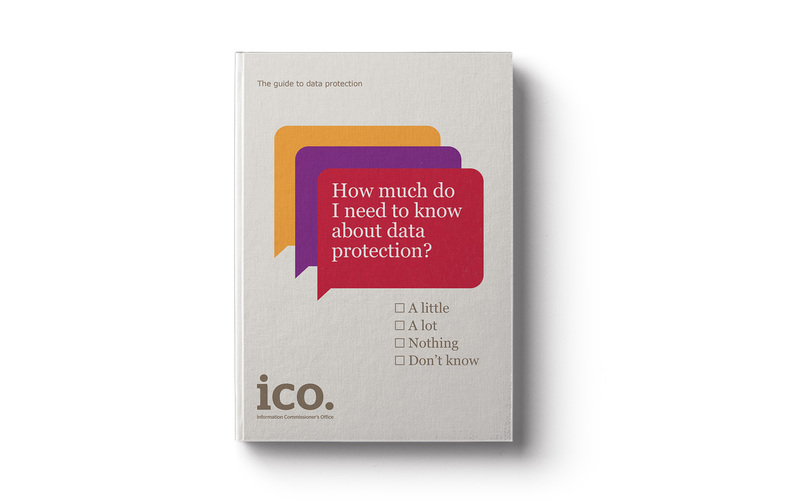 The Information Commissioner’s Office (ICO) enforces and oversees the Data Protection Act and Freedom of Information Act. 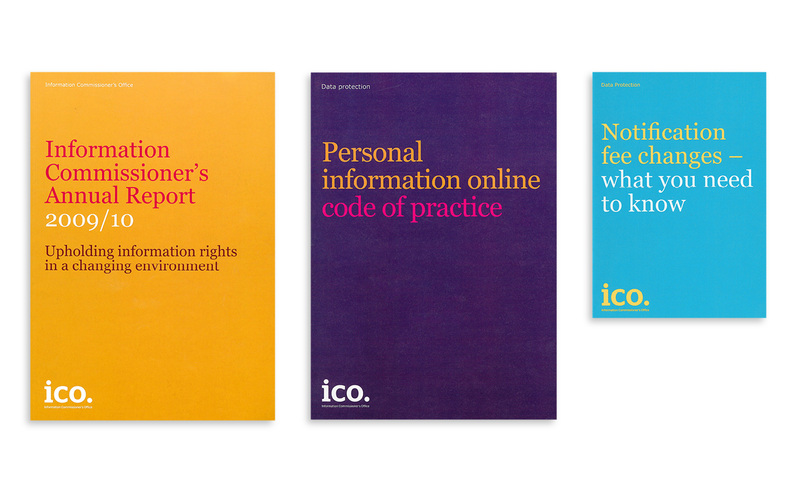 In 2010, a newly appointed Information Commissioner brought with him a fresh vision for the organisation – summarised as: ‘upholding information rights’. A new identity was required to signify that the organisation had a new purpose and a modernised approach. The strategic challenge was that the ICO produces lots of communications materials to keep businesses and the public informed about a wide range of topics. 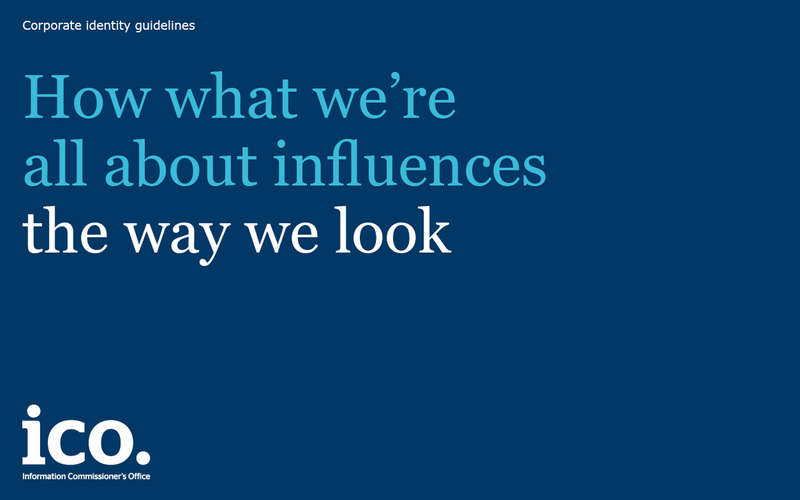 It was clear that they had an inconsistent image across all their communications, regarding look, feel and message. We needed to help them achieve greater coherence between their marketing outputs – but, as we were working for a public body, it needed to be extremely practical and cost-effective, yet never dull. 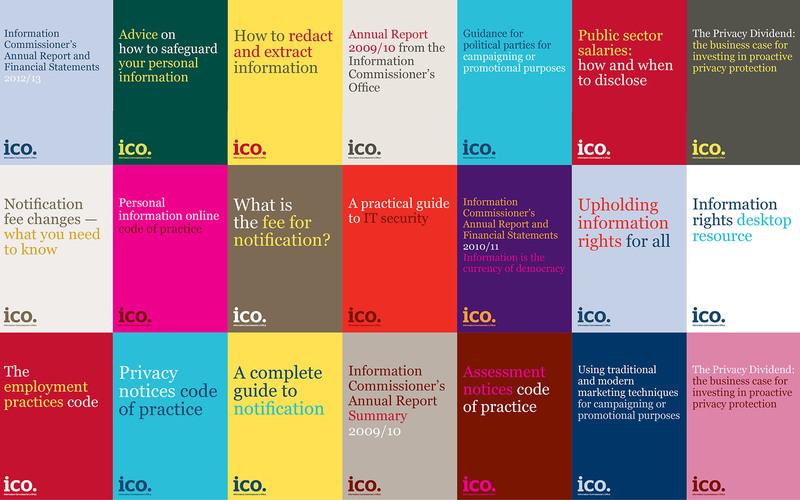 We felt it was only appropriate that the ICO should celebrate the information communicated. Our creative solution put the information centre stage – turning the message into their branding device – rather than hiding it behind glossy images. By writing headlines in a compelling and informative way, we allowed the ICO’s mission of ‘upholding information rights’ to shine through in every piece; this not only created a coherent image, but it was also brutally simple to implement, making it very cost effective. By selecting universally available system fonts, Georgia and Verdana, a ruthless consistency essential to the strength of the ICO brand is possible. So no matter whether the design consultancy or an ICO staff member create a piece of work, it has the same universal look. We selected colours in the same inclusive fashion, so they display little difference when created in Pantone, CMYK or RGB — this means that whether printed in spot colours, full-colour process, digital, or online, the ICO looks consistent and professional. The new identity was rolled out across publications, web, signage and numerous other media. 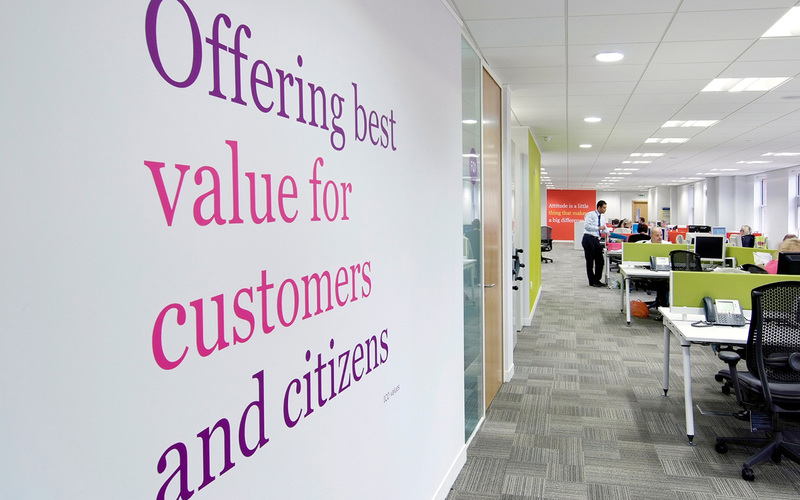 The most encouraging result has been that the ICO have embraced the new identity internally, applying it to everything from staff-room posters to their office walls. It has given them the means to express what their organisation stands for while maintaining a consistent look and feel. 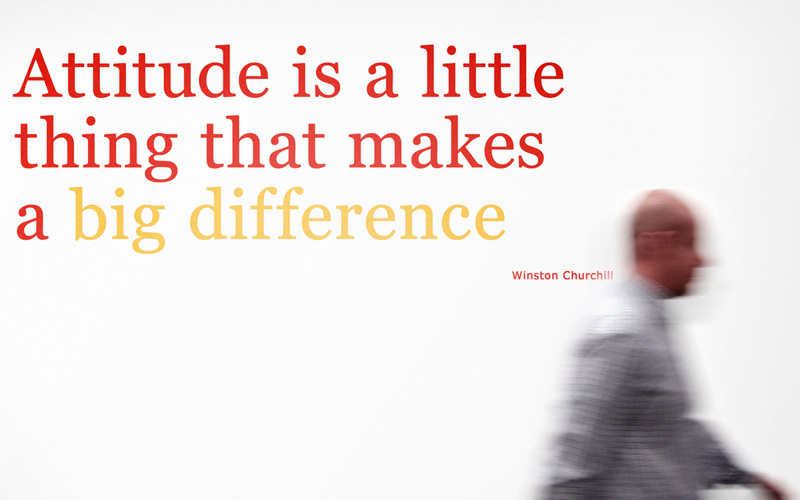 And because expressing themselves is easy and inexpensive, they have done it more. Previously, the ICO had taken the approach of letting campaign subjects and audiences dictate the creative execution, resulting in many individual campaigns with little similarity or brand recall. Our angle was to lead with the new look so that everything was coming from the same organisation. 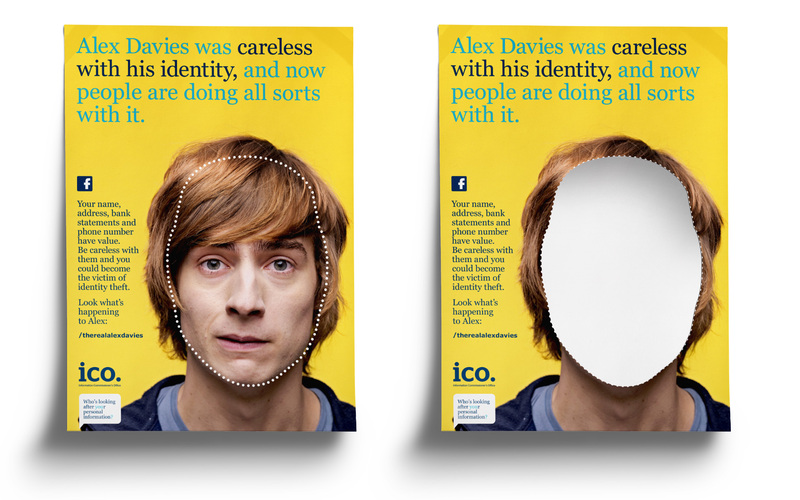 The ICO tasked us with creating a marketing campaign to raise awareness of identity theft among students and drive behaviour change. We were keen to maintain our robust and authoritative identity, yet somehow make it more engaging and playful for a younger audience. The problem we faced was that students don’t perceive identity theft as an issue, even though they’re one of the groups most at risk. However, there are many measures that students can take to protect themselves if only they can be persuaded that the issue is important enough to take action. We researched a series of student groups and suspicions were quickly confirmed: identity theft doesn’t pose a genuine risk in students’ minds and they are much more interested in other things. We needed to persuade students otherwise. But interrupting them wasn’t going to work. Don’t interrupt. Start being what people are interested in. Rather than tell students how easy it is to steal someone’s identity, we created a compelling campaign that showed them how easy it was. 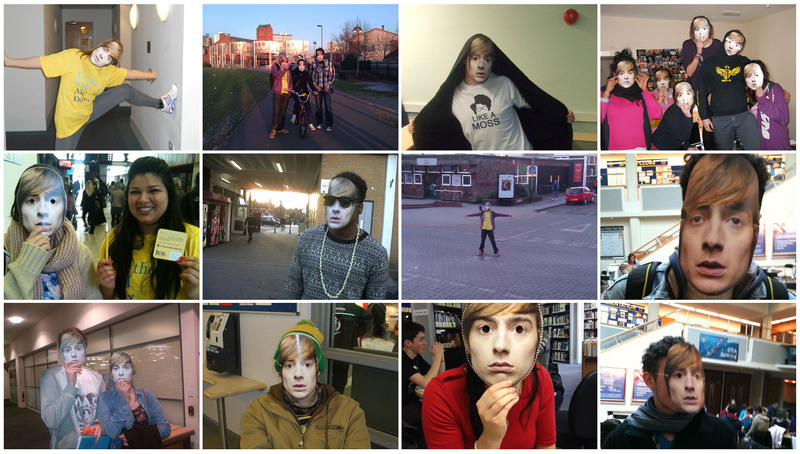 Our idea played to students’ sense of humour, mischief and revelry: it helped them to (sort of) steal someone’s identity. We created a fictional character, Alex Davies, making him the tragic hero of our campaign. Alex appeared on posters conveying hard-hitting facts about student identity theft, but his life-sized face was tantalisingly perforated, which allowed mischievous students to pinch an Alex mask. We encouraged them to become Alex and get up to stuff that the real Alex wouldn’t. Beer mats were printed with our chief protagonist’s mobile number hand-written on them and left casually/carelessly in student union bars. When dialled, Alex’s answerphone message explained he couldn’t come to the phone right now; someone had stolen his identity. Student ambassadors distributed individual Alex masks across university campuses, as well as Alex beer mats, badges and T-shirts. 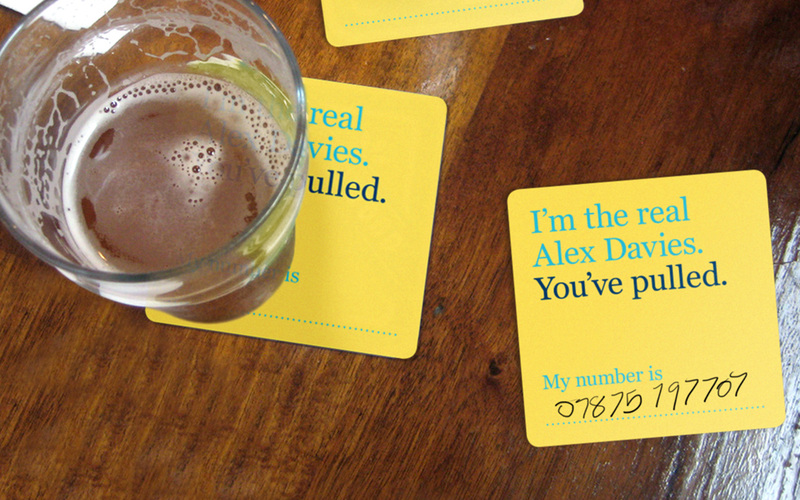 We created a Facebook page where students could post pictures and films of their antics as Alex Davies. It became a symbolic demonstration of what can happen when someone steals your identity.